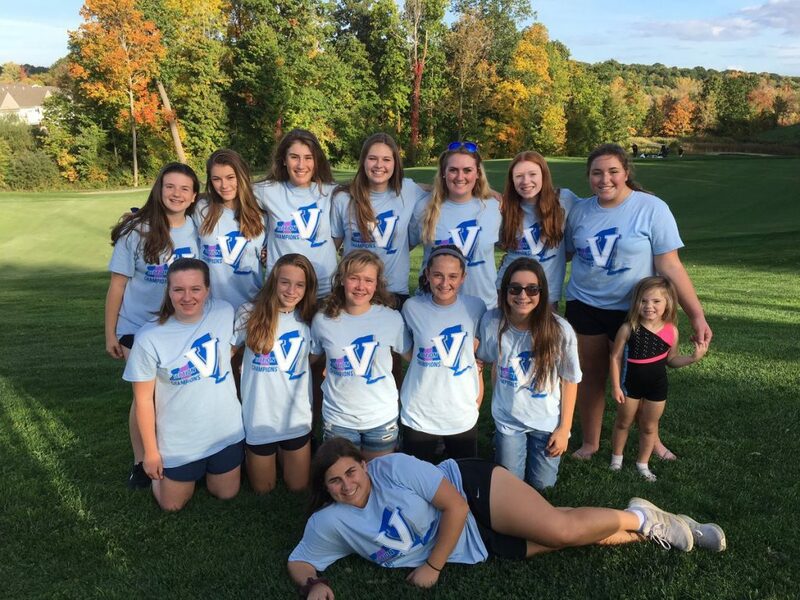 Victor Girls Golf gives back at Champion Hills doing some work on the course! I have 13 girls on my team and they were all involved! I also had my family there helping as well…my wife Kait, my 4 year old daughter Sophia, and my 1 year old son Slade. We worked at the golf course for almost 2 hours. Our home course is Champion Hills and they are a 9 hole golf course in Victor. They have a smaller number of people on their grounds crew and sometimes they don’t have the workforce to keep up with all the basic maintenance needs of the course. My girls were in charge of filling divots on the tee boxes and in the fairways. I also had a group fixing ball marks on the greens. In the past we have also helped weed and rack bunkers. Giving back some of our time to the golf course that takes great care of us during the season is extremely important! Champion Hills donates their course to our golf program each season. It is very rare that golf course don’t charge some sort of fee for high school teams to use their course. The staff and membership population are very accepting and supporting of our team! Champion Hills is an extremely nice golf course and is very well kept. It is a true privilege to play there every day during the season and our practices!